Atlas Professionals New Zealand, in partnership with the Taranaki Rugby Football Union, will fundraise by a so-called Points for Charity system in the upcoming Mitre10 Cup Rugby season. For every point scored by the Yarrows Taranaki Bulls in a home game, the company will donate $50 to a Taranaki charity nominated by the Bulls’ supporters. Atlas Professionals is a global recruitment and HR services provider for Energy, Marine and Renewables. In Australia and New Zealand, Atlas Professionals support clients within the offshore oil and gas sector with the full cycle of recruitment, manning and support services, with approximately 1500 staff across the region. Its office in New Plymouth has strong ties with the local community. Formerly known as Programmed Marine, the company has been a major sponsor of the Taranaki Bulls for several years. 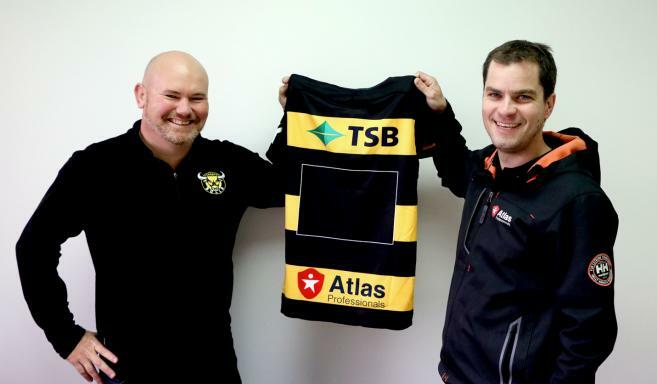 As a part of this year’s major partnership of the Taranaki Bulls Atlas is now seeking public charity nominations. On this page, the public is able to nominate and vote for Taranaki community-based charities. From the top 3 most voted charities Atlas will select one to be awarded as the successful “Points for Charity” partner. So, what are you waiting for? Click here and nominate and/or vote for the Taranaki charity you want the company to support. The poll is open until 15 July 2018. Vote for the Taranaki charity of your choice today! Since 1982, Atlas Professionals has been a major provider of industry specialists to the energy, marine and renewables industries. In July 2017, Atlas Professionals formed a joint venture in Australia and New Zealand with Programmed Marine. The new business operates under the name Atlas Professionals. With a global presence in 16 countries, Atlas Professionals can turn complex personnel challenges into transparent and assured solutions wherever needed.